Following 32 years of existence, the esteemed Des Baker Award for outstanding architectural design by students has been terminated by the sponsors and have been replaced with the PPC Imaginarium Awards, and from 2018 onwards will be known as the PPC Imaginarium Awards for Architecture. The work of all entrants will be displayed at the Architecture ZA 2018 (AZA18) conference from 3-5 May 2018. The winner and runner-up will be announced at an evening event on 3 May 2018. PPC is a longstanding key sponsor of AZA18, which takes place at 012Central, Pretoria. The event programme includes presentations, film screenings, parallel sessions, student design sessions and professional practice sessions. 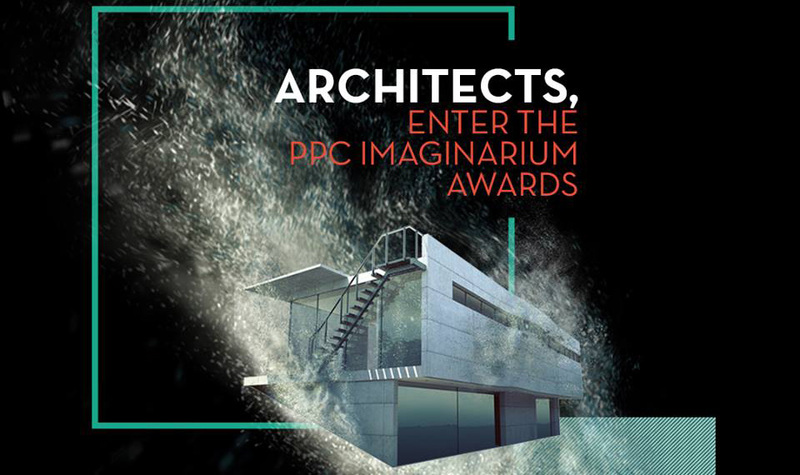 The new PPC Imaginarium Awards for Architecture will be made annually, and will remain a stand-alone event that is held separately from the rest of the PPC Imaginarium Awards. The PPC Imaginarium Awards has six entry categories in total: fashion, sculpture, jewellery, film, industrial design and architecture. For the newly formed PPC Imaginarium Awards for Architecture, all architecture schools in South Africa were invited to take part, and the competition follows the same format as the Des Baker Award. The Des Baker Award allowed students to explore meaningful, practical change in their city by designing an array of small interventions. The two best projects from each institution were selected by the lecturers and submitted. Students in their final year of undergraduate study (BAS and BTech degrees of study) receive the brief and are required to complete it as part of their qualification. Past finalists in this category highlighted various issues, such as heritage, movement, tradition, communication and modernity. This year’s entrants have been instructed to find sites where rapid growth has led to unoccupied space, demolition, ‘memory spaces’ and infrastructural gaps in cities. These changes are inevitable, as are the responses to them. Entrants are told to reflect practically and to explore how members of the community demonstrate their resilience. Each educational institution will select its entrants internally, and their work will be put on display at AZA18, to allow for an exhibition during the conference, judging to take place and for the announcement of an overall winner and commendation during the closing event on Friday 4 May 2018. The theme of AZA18 is ‘WeTheCity: Memory & Resilience’. Focus points will include heritage, human settlement and environmental potential, all of which complement the main focus of the 2018 PPC Imaginarium Awards for Architecture. Additionally, AZA18’s human-centered approach to the city and its occupants provides yet another reason why the event is suited to an exhibition of this year’s architecture finalists. AZA18 features a range of delegates, speakers and specialists from around the world, including famed architects Enrique Brown (Chile), Hermann Kamte (Cameroon), Sameep Padora (India), Gabriella Carillo (Mexico) and Peter Barber (United Kingdom). It is a chance to share thoughts and solutions, to create and collaborate, with specialists across industries. Being part of this stimulating event is yet another way that the PPC Imaginarium Awards offers support both to the greater industry and its finalists. The PPC Imaginarium Awards is the most supportive art and design competition in the country, not only in terms of the handsome prize money worth R500 000, but also in terms of the support, mentorship and profiling opportunities that are offered to finalists. Exhibiting at AZA18 is just one aspect of the PPC Imaginarium’s year-long nationwide travelling exhibition, which includes shows at the UJ Art Gallery, the AVA Gallery in Cape Town, 100% Design South Africa in Midrand, and the KZNSA Gallery in Durban. PPC is a notable part of the South African story and is committed to the future of the country and its economic potential. By providing support and promoting innovative thinking, the PPC Imaginarium Awards help to establish young emerging artists and designers in their respective industries. In this context, PPC helps to develop a better society as well as stronger, more sustainable links within communities. PPC continues to address socio-economic sustainability across South African communities and remains committed to engaging with municipalities and districts to identify development priorities.